The Wild Ride is a classic film starring the very young Jack Nicholson as Johnny Varron -- a gifted driver with a fondness for playing 'Chicken' against the police. Johnny's fast life and good times are in danger, however, as his desire to prove himself and his jealousy over his best friend's straying attention drive him to wilder and wilder acts of delinquency. 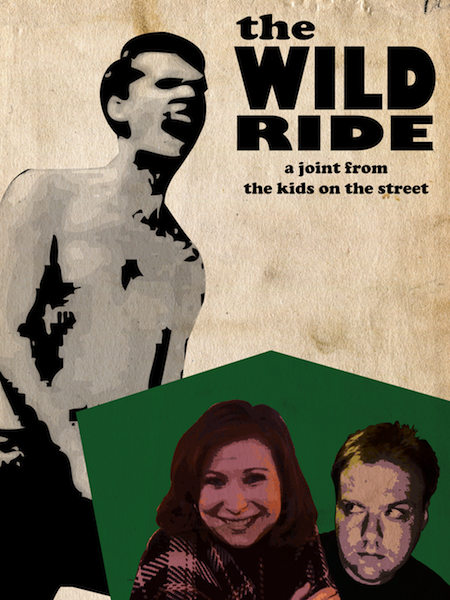 The Kids on the Street have added their own special twist to this 1960 juvenile delinquent picture, as Glen and Elizabeth watch along with you, riffing their way through 60 minutes of teenage parties and ultra-slow car races. Nobody should have to watch a movie alone -- particularly if that movie stars Jack Nicholson as the shirtless leader of a gang of hot rod hooligans.